Congressman Devin Nunes is at the center of another social media fray, after filing a lawsuit that inspired the trending hashtag #yachtcocaineprostitutes. On Monday night, Nunes sued publishing company McClatchy for $150 million in damages, over an article published in the Fresno Bee last May that he claims was defamatory. That article detailed a publicly available lawsuit filed against a winery that Congressman Nunes has invested in. The lawsuit alleged that in 2015, guests on a yacht owned by the winery had been snorting cocaine and soliciting prostitutes. The article stated that the Congressman was not directly connected to those events, but by associating him with them, his lawsuit argues the company “weaponized its powerful pen and used it as a terrible sword.” Nunes’s office did not respond to a request for comment. 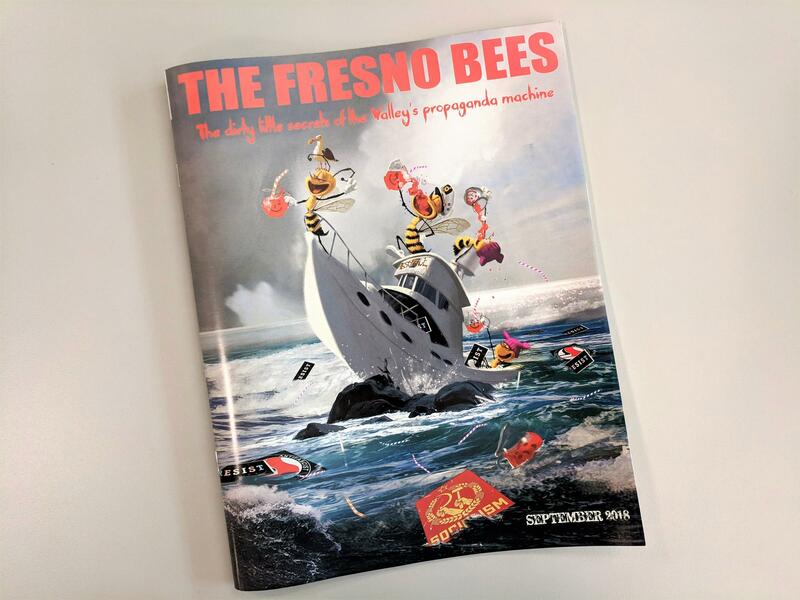 In October 2018, Nunes distributed a glossy 40-page mailer accusing the Fresno Bee of launching a "crusade" against him. In a statement, the Bee and McClatchy referred to Nunes’s lawsuit as a “baseless attack,” and pointed out that Nunes has never requested any corrections to the story. Bee editor Joe Kieta can’t comment on the lawsuit, but he says the role of the paper is to investigate the stories the community needs to know about. “The processes that we use to create news here are rigorous, we check and we double check, and in this case we stand completely behind the work that we’ve done,” he says. This suit follows three weeks after Nunes filed a separate $250 million lawsuit against Twitter and a handful of users for defamation, censorship and negligence. One of those users was an anonymous account purporting to be his cow, which now has more followers than he does.